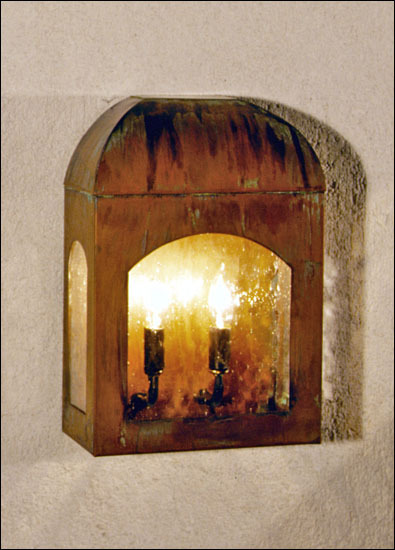 Description: This copper wall lantern produces a gentle back lighting that is perfect for almost any entryway or setting. It is shown here in verdigris copper and clear seeded glass; however there is a wide range of potential frame and diffuser materials. 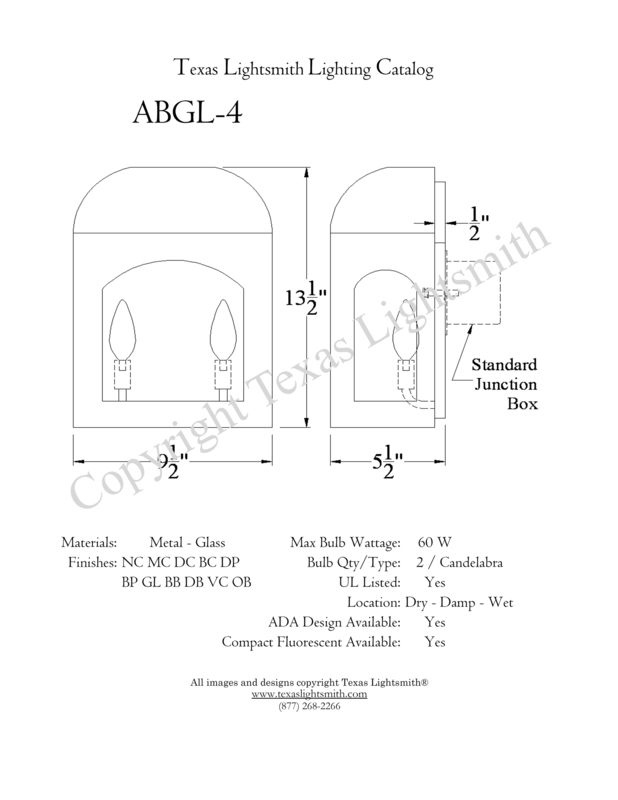 Can be used with candelabra or made as a Gas Lantern. Check with us about ADA compliance for commercial applications.